The goddess of the house, where did she go? A thing of the past? There is a phrase in Arabic rubit el beit. Some would argue that this phrase means the subtle aspect of God that permeates our surroundings or home. Well…that is exactly what I am talking about; sacred space. The original concept of ‘homemaker’ is the one who makes the house into a home. And it is a lost art. It turned out to be the baby that we threw out with the bath water. When women left the house there was no one minding the ‘home’. We turned into generations of latch key children with a fast food lifestyle. Women were taken out of the home seduced by power, money and the material world. But the price we pay as humanity is great. The goddess no longer minds the house and our lives have lost their magic and sacredness. Don’t blame us, we fell asleep. We were hypnotized into the great cultural trance that exalts material wealth and only values what can be seen and acquired, not that which is felt. We forgot that everything we touch is filled with magic and how valuable and necessary that really is. But we know now. Now that life is devoid of love and feeling. We can see clearly that which we all sold our souls for turns out to be an illusion. The seduction line was ‘you are capable of so much more than just cooking, cleaning and taking care of kids!’ a challenge to our ego and mental abilities. And we bit into it. After all intelligence was seen as the highest goal one could attain, and we wanted to prove ourselves. We can think! Yes, but more importantly we can feel, and we allowed people to convince us that feeling and being was not significant. In reality what is more important than a child? A human being? ‘People before things’. The secret that has been lost is that these activities are not merely ‘cooking’, ‘cleaning’ and ‘babysitting’; they are alchemy, the transformation of substance and space into a higher form. I learned the very harsh reality that children don’t need their mother to be successful; they need her to be present. It is her essence that is empowering. It is HER hands’ touching the food that creates the magic, energizing it with love. Love intended to nurture our seedlings allowing them to come to Divine fruition. She is our first concept of the Divine because it was from her body that we were birthed and received our nourishment, she was our first ‘everything’. It was her wisdom that made us grow and expand. ‘Education’ is something that happens on your mother’s knees as the Prophet Mohamed said. In schools we are indoctrinated, stuffed with inaccurate information and now we can see the results of that horrific agenda. Well played. The turning point for me came the day my son stood in front of me and said “it is every child’s right to be fed (nourished) and have a home (sacred space) to live in”. That was the metaphoric slap in the face that woke me up. Yes, of course it is their right! So simple. “Out of the mouths of babes”. I am deeply grateful that he had the courage to say that to my face because I couldn’t see what was probably blatantly obvious to everyone else. I just didn’t ‘get it’. I had no frame of reference. I grew up in a time when children had no rights we were just supposed to conform and do what we were told. People would get up in arms about child labor but never stopped to look at the abuse that was taking place right in the home from neglect. For my generation the norm was you don’t have the right to want anything! I encourage women who want to contribute to humanity through the art of ‘mothering’ by caring for and nurturing other human beings. I support women who work to the betterment of humanity using all their creative gifts such as education, nurturing, wisdom and awareness. I say that because it didn’t come easily for me. It isn’t a ‘given’ that women will understand this, not any more. We have the tools to better society we always have. We just need to know why to use them and how to use them. In ancient Meso-american cultures women who died in child-birth were buried as warriors because they died in service to humanity, fighting the good fight. We let society take our children from us. They made us believe they could do it better. But they can’t. Through the work of Dr. Bruce Lipton we now know that no one is actually attuned to a child’s frequency, except their mother. Mother’s contain the same cell receptors as our children. Not that we shouldn’t try to care for children, or adults, who are not our own, but no one can care for your child the way you can; no one. It is your unique gift from the Divine, own it. Betty Eadie spoke about this beautifully in her book The Awakening Heart: My Continuing Journey to Love. During her near death experience she was told many things. One of the things she was told was that Satan/evil (she was a Christian at the time) would destroy society by taking mothers out of the home. She goes on to explain that it would be the ‘Grandmothers’ (a Native American term), the wise women, which would save the world by bringing the concept of family and mothering back to humanity. 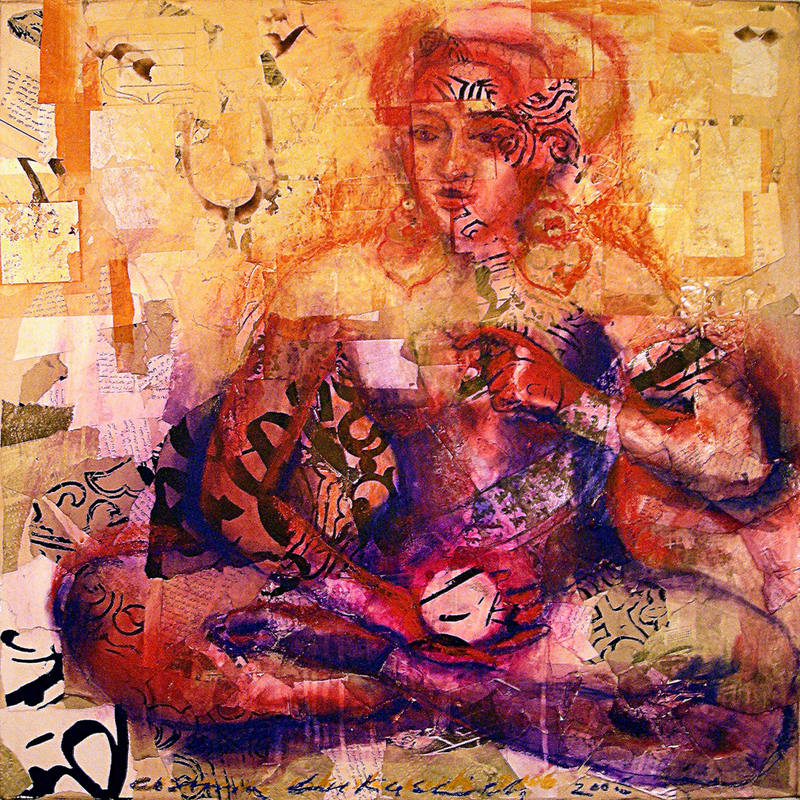 The Divine Feminine (through women) is not only the keeper of wisdom but the holder of space. The concept of ‘holding space’ is another art long forgotten. Holding space is done through the act of being completely present for another person. To sit, without judgment, like a midwife allowing the other to birth themselves. We do not solve problems, only the individual can solve their own problems, we just hold the energy, the matrix, for this process to occur. It is a selfless act, an act of love. There is great ego fulfillment in solving others problems, being right, knowing the answer. There is no recognition or reward for holding space, except the betterment of life on earth, a very ethereal compensation. It is not easy to step into this. I KNEW this was a truth, the importance of mothering and holding space. I even ‘did’ it, but there was so much resistance from my programing it was an uphill battle until I finally broke and felt it at the age of 47. Now my ‘couch’ is known worldwide as a sacred space. People long to come and sit on my couch and have a cup of tea because they can feel the healing power of something so simple. Can men fulfill this role? No, and why, because they don’t have a womb. The whole concept of the ‘womb’ is sacred space and we contain it within us at our very core. It is our gift, our essence. The women’s center of gravity is actually her womb. The man’s center is around his solar plexus. We are physiologically predisposed to carry this role. We know sacred space from a deep place because we are sacred space. In prehistoric times the ritual temples were caves. The cave represents to womb of mother earth. Man did not need to build a temple separate from the earth they merely used a natural womb already created by the earth. On an energetic level the womb emanates the same energetic frequency found in caves, pyramids and temples, a frequency conducive to growth, healing and Divine connection. Along the same lines as holding space was the ancient role of the ‘keeper of secrets’. A role reflected in the modern-day ‘law’ that a woman cannot testify against her husband which would break the covenant between them of full disclosure. An aspect seemingly regarded in higher esteem by laws than individuals. As women adopted masculine characteristics such as competition, information became a weapon rather than a means to intimacy. Long gone are the days of a man laying his head between his beloved’s breasts and whispering his deepest darkest secrets knowing he would never be betrayed, knowing he would not be judged but loved unconditionally, knowing that his truth would be guarded in the inner sanctum of her heart. This was a gift that was not just bestowed on husbands but children and close friends as well. Now the whole subject of integrity seems to be a moot point. Both Justice and Maat were female deities. Justice was blindfolded as her ‘judgment’ was not personal. She carried the sword of truth and the scales of balance in her hands, her tools to wholeness. Because it is only through this process of brutal honesty, cutting away illusions and bringing truth into the light that we can balance and become whole. The shadow work of ancient times was bestowed on women because women are all too familiar with the descent into darkness. They knew how to navigate the path both in life and death. Maat’s scales balance the heart with a feather, the symbol of spirit. She weighed the heart not to see how ‘good’ a person was but to see how pure and balanced they were, how fully they had walked the path and fulfilled their destiny. Before the solar age a king would never consider ruling without the blessings and support of Hathor. She was the ‘power behind the throne’. The word Hat-hor means ‘house of Horus’ or the womb, the sacred space, the place of growth and empowerment. Ancient temple drawings show Hathor standing behind the king, empowering him. She was the ‘attractive-aggressive’ goddess imbuing him with the powers necessary to successfully rule his kingdom. She filled him with love and helped him navigate through his life. It is the Divine Feminine that makes a man into a king. But all is not lost. As we come full circle and reach illumination we can choose which path to walk. We can continue on the material path or we can relearn the ancient arts, reconnect to our Divine gifts and as Betty Eadie suggest return the locus of control to the house and once again make it our home by reclaiming our place as ‘the goddess of the house’.